Installing a new roof or repairing an existing one can be an expensive proposition, one of the top five expenses that homeowners face. Still, putting off repairs or the purchase of a new roof can lead to leaks inside of your home as well as higher-than-necessary heating and cooling bills. A new roof gives your home a fresh, uniform look. Architectural shingles offer a more textured look than traditional “3 tab” shingles, assign definition and accentuating your roof. New roofing material keeps your house secure from water leaks from hurricane winds, ice dams, as well as from animals, like squirrels and birds, getting in under the eaves. If you live in New England, chances are that the wood under the shingles on your roof may be over 50 years old. When we remove old shingles, we first inspect and replace rotted wood to ensure a strong supporting surface. New roofing material not only eliminates the leaks in the old roof, but new roofing products have additional insulation value, keeping your heat in the house where it belongs. 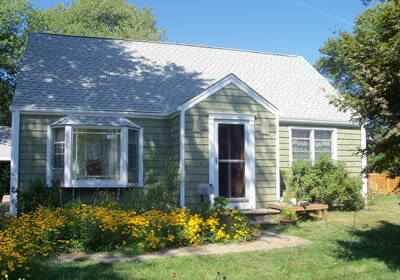 A roof is one of the first things a visitor or a potential homebuyer sees. Not only is a new roof attractive, but it means that the new owner won't have to add one anytime soon, adding to your home's property value. By using high quality roofing materials and proper installation techniques, we install roof systems that will last a lifetime. That’s not just a figure of speech! As a CertainTeed Shingle master and certified roofing contractor with GAF, we can offer the most extensive and comprehensive lifetime warranties in the business. Learn more about roofing styles, shapes and colors! 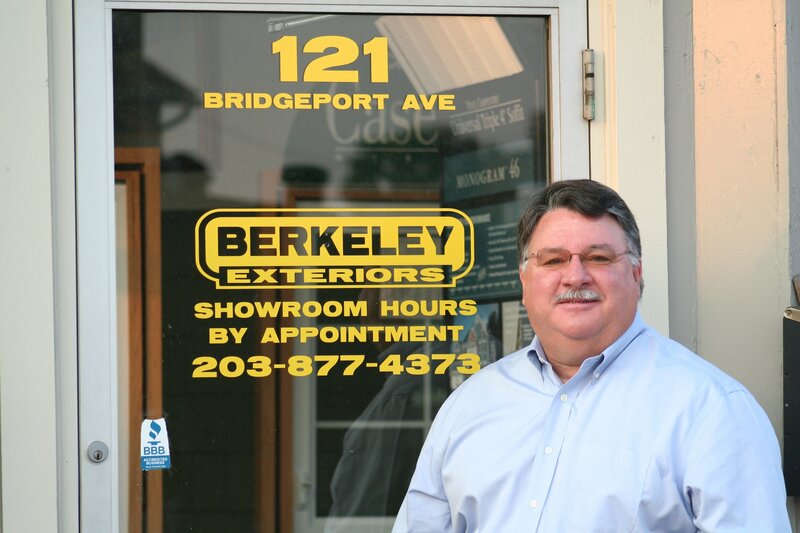 Berkeley Exteriors has been helping southern Connecticut homeowners install new roofs for nearly 20 years. We're a locally-owned, locally-managed company, not a company that's here one season and gone the next. Even our installers have been with us for around ten years. We think that these ties to the community contribute to the fact that nearly 75 percent of our business comes from referrals by satisfied homeowners like you. If you're ready to see how a new roof can change your home's exterior appearance and help you save on your energy bills, let Berkeley Exteriors guide you through the process of choosing, ordering and installing new roofing material. Call us at 203-877-3473 to schedule a free consultation.